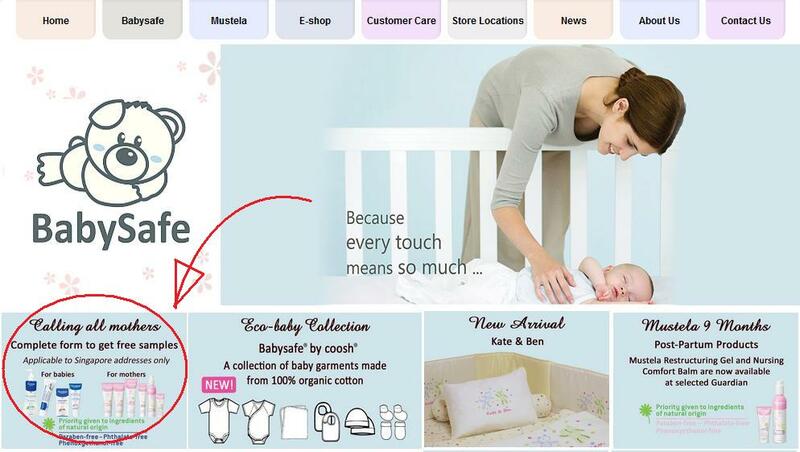 Although from the website stated to register as new member to request for free sample, it needs to be done via email. Contains rutin that strengthens capillary walls, reduces hemorrhaging in people with high blood pressure and increases microcirculation in people with chronic venous insufficiency. Buckwheat also contains D-chiro-inositol, a component of the secondary messenger pathway for insulin signal transduction found to be deficient in Type II diabetes and polycystic ovary syndrome. It is being studied for use in treating Type II diabetes. 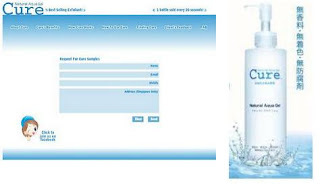 Research on D-chiro-inositol and PCOS has shown promising results. A buckwheat protein has been found to bind cholestrol tightly. It is being studied for reducing plasma cholesterol in people. It is rich in dietary fiber and one of the laxative foods foods. Would like to request for samples for the 168 blend. It comes with 2 packets and a product brochure. 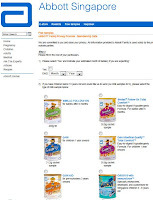 Based on retail of $16.80 for 25 packets, samples are worth $1.34. They staff was very responsive, replied the next day and samples were received very quickly. 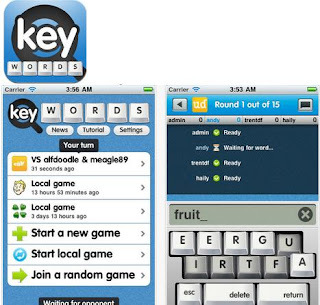 This was a free game when first released in 2006. Came back free again recently. It does require the camera to play. 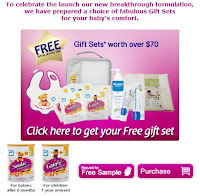 Abott is celebrating the launch of their new product with gift sets worth $70!!! 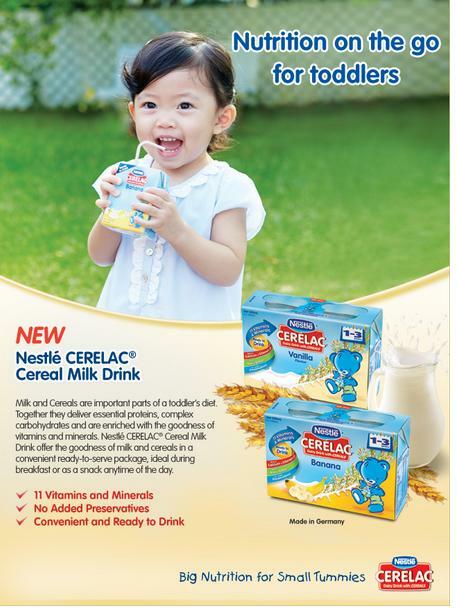 Side note> the little girl featured on the advert is SO CUTE! Ok, Mdm Cheapo has to admit looking for Free healthy stuff is difficult. Much more than I ever expected. And here I thought with the increase in health consciousness in the society, this will be a booming trade in SG. Well... With much determination, here's the first> Xylitol. Xylitol> is a sweetener used as a naturally occurring sugar substitute. It is found in the fibers of fruits & vegetables, can be extractec from berries, oats & mushrooms. Xylitol is almost as sweet as sucrose with only 2/3 food energy. AKA it is just like sugar but 1/3 less bad as sugar! 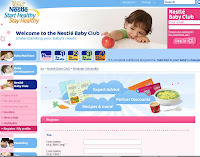 The Next Series - Stay Healthy! Madam Cheapo ponders... What next after the "Just for Mum" Series? What would be good... Then I was sitting around at work and the topic came on getting older, health is on a decline. Then it struck me, lets have a "Stay Healthy!" Series. This shall me my next challenge! Well in the mean time there would still be posts on the other freebies & need to work on the Best Deals more diligently. Time to head to my favourite grocery stores! Burn the rope world - Loved it, it was very addictive! Time to save the Earth and utility bill too! It decreased the water pressure quite a bit so in the end removed the ones in the shower as Madam Cheapo enjoys water jet hitting on the skin hard. Feels cleaner that way. Kept the ones in the sink there as often we tend to open the sink tap too much and waste water. Noticed a 3-7% decrease in Utility bill. Puffle Launch! 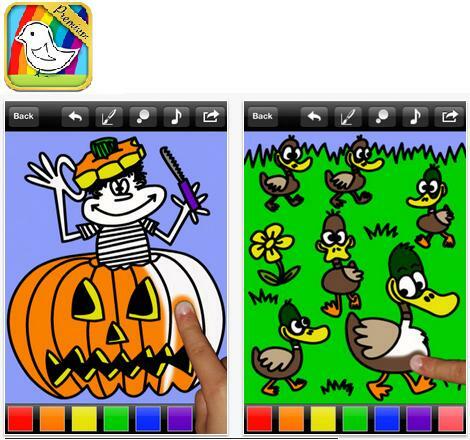 - Good fun for kids. Graphics are very nice - as expected from Disney. 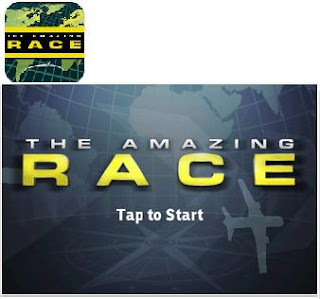 The Amazing Race, was 2.99 now Free! 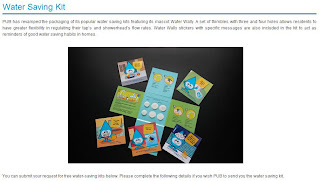 Applicable to Singapore Addresses only! 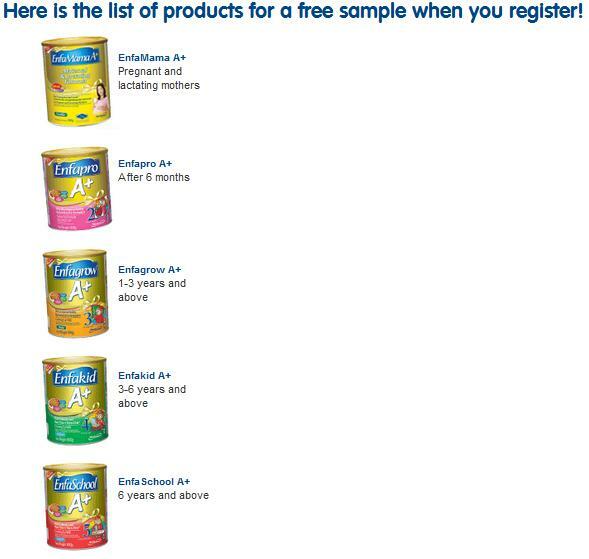 You may request for sampler pack either for Baby or Mother. 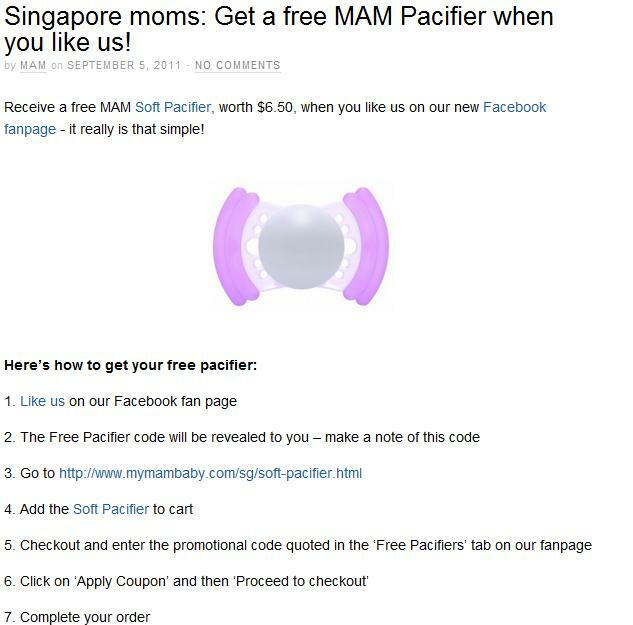 7 Steps to a free $6.50 MAM Pacifier. 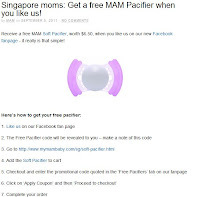 The MAM Soft Pacifier is suitable only for babies aged 0-6 months. 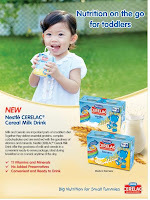 Mode: SMS “CERELAC® Toddler NBC” to 91822255 with your full name, email & address. 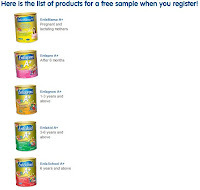 Register online as a memeber to request for a free sample! Baby Blisscard @ South West celebrates the births in the South West District. 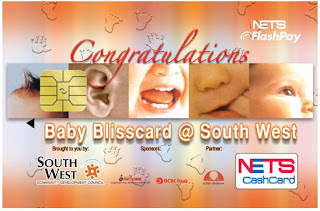 One of the many initiatives under the "Family Bliss @ South West" package is the Baby Blisscard, a specially-designed limited-edition cashcard with a stored value of $38!!!! Madam Cheapo loves this... Now I just need to move house when baby comes along. How come other District no have ar? 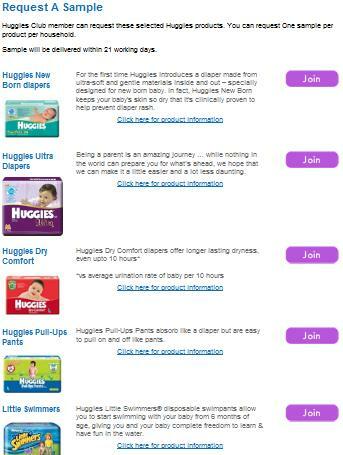 Baby Blisscards are to be presented by Advisers to grassroots organisations at various community events, such as block parties and Residents' Day - which are usually held within three (3) months of your successful application. Invitation to these events will be made by the Constituency Office of your residence. Madam Cheapo has no babies (yet) but has friends with lotsa babies.. Every meet up is filled with the joyful voices of their kids with an occasional scream & cry (It wasn't me, I kept a safe distance!!!). 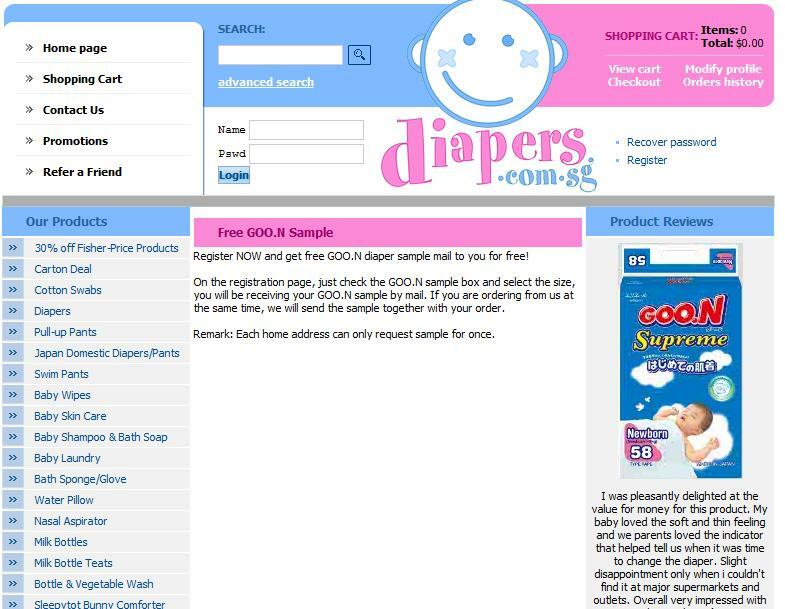 Very so often the topic of how expensive milk powder, diapers, kids products were. It was a lot of $ and often, they were in a situation where products they bought was not suited for their kids resulting in waste of $. Madam Cheapo then had an idea! I will post a "Just for Mum" series!!! I will set off to seek out all available samples available in the entire Singapore!!! I will not rest till all has been found! For all the SG Mums out there, I will succeed in my mission! Magix boosts to be as good as photoshop! 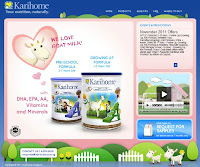 And now its free till 24th November 2011. It took me about nearly an hour to download the entire program. For $89.99 it was worth every minute. Will update the review on its usefulness once i get to play around with it! Free for a limited time, this game is quite addictive. You have been warned! 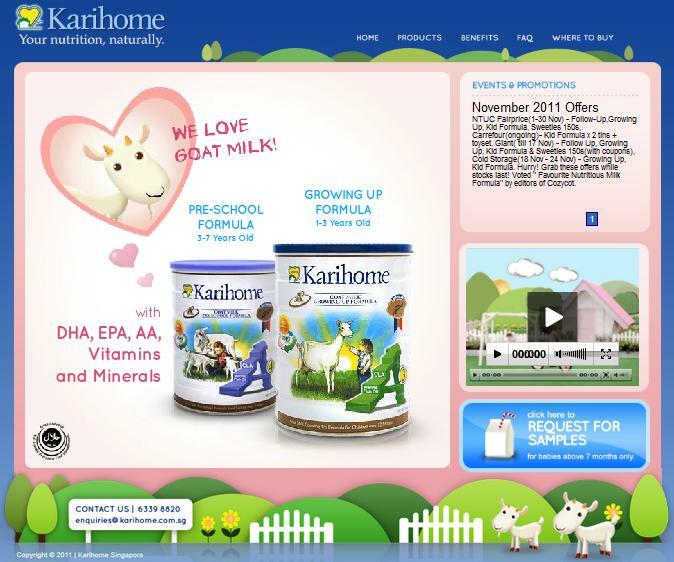 Released 8th Nov & Free till 15th Nov 2011. 1. Learning Chinese Characters: display a Chinese character, and its Pinyin, the number of strokes, radical, English explanation, commonly used phrases and their pronunciation. So far, the system supports learning and writing exercises of the most commonly used 1155 Chinese characters. 2. Learning to Write Chinese Characters: dynamically illustrate on how to write a Chinese character in the correct stroke order. 3. Writing Practice: users can practice on writing a character. The writing track will be beautified and displayed via the unique digital ink technology. 4. Writing Assessment: evaluate the user’s writing quantitatively by giving a score. 5. Learning Phrases: learning commonly used Chinese phrases/words of each character. The corresponding English explanation and pronunciation is provided at the same time. The new phrases can be collected for further reviewing. 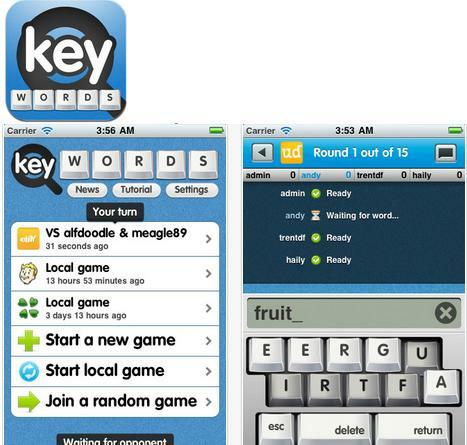 This app includes more than 20,000 frequently used Chinese phrase/words. 6. Testing through Games: provide two games, finding the correct Chinese given Pinyin and finding the correct Chinese given English. 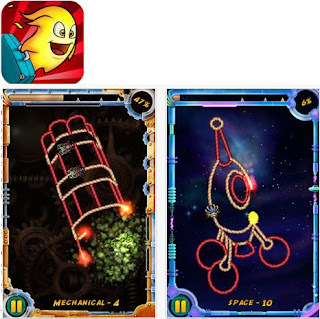 These interesting games can test on the mastery of characters that users have learnt. 7. Searching Characters: search the Chinese character that the user wants to learn. 8. 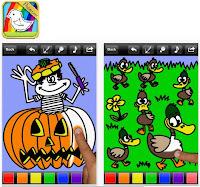 Setting App: set the background, skin, and wallpaper of the app; color of the pen; style and weight of the stroke, and select the textbook and course to learn. Good for beginners learning Chinese! Worth-it-Meter: - Free apps are always worth it! 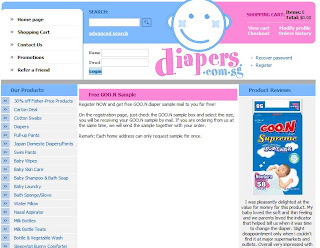 *prices defer from website as the above includes 7% GST. Delivery charges of $12 applies for all orders below $100. From the last request for samples from Abott, the nice people at Abott mailed Madam Cheapo $2.50 off 400g & $3.50 off 900g vouchers. 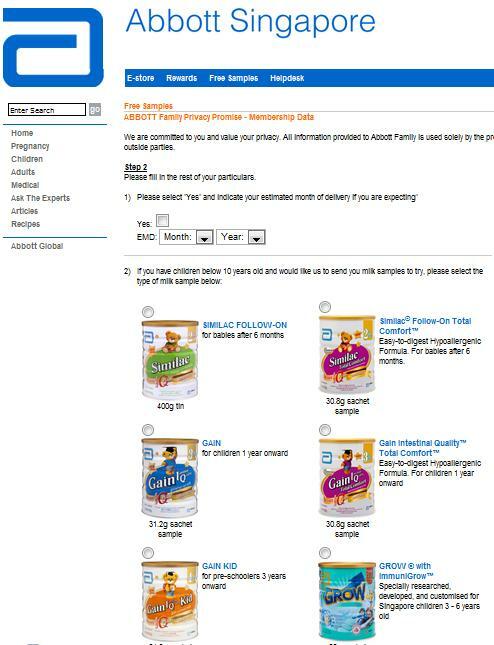 Madam Cheapo used the $2.50 at Guardian for 400g tin and paid $15.45. Used the Maybank Family & Friends card that gives 5% rebate at Guardian, price after rebate $14.68! This is an all time low price $3.67/100g. 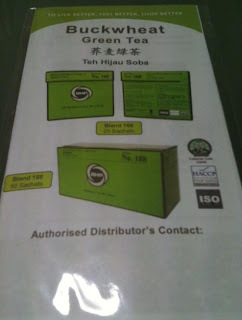 Went to JB to buy this before and paid $32 for the 900g tin - $3.56/100g. For a 11 cent difference, saves my effort of travelling to JB! Samples come in 2 sachets arrrives in 2-3 weeks. 1 request per person. If you have diabetics in the family, this is useful as there is a Glucerna SR that is a very good supplement for breakfast. Since a 400g tin sells for $18.64, so 1 sachet costs about $1.20. 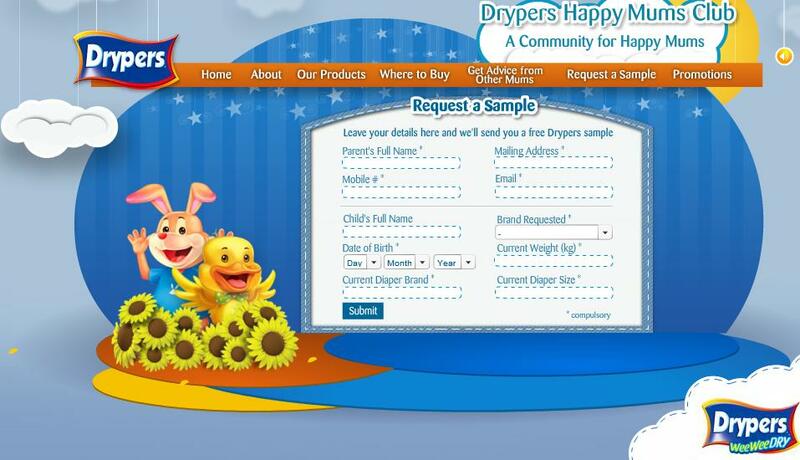 After receiving the samples, there is some "after-sales" call by their friendly staff. They would even mail discount vouchers from time to time when they know you are a long time consumer. So don't just hang their friendly calls. *Very Nice* Madam Cheapo likes!!! Worth-it-Meter: - Free apps are always worth it, no? Touted as Japan's Best selling Exfoliator! Very easy to sign up (15 seconds), 1 set of 2 sachets per signup. 2 satchets of samples came in an envelope, in approximately 2 weeks. 1 sachet is rather sufficient for 1 use all over the face. Really liked this product as when you use, lots of "dead skin" comes off, and i mean lots especially the first time. Just that it is a little pricey at stores. Madam Cheapo did request it for everyone in the family and all the samples came. Even my husband who uses this found that his acne skin improved. 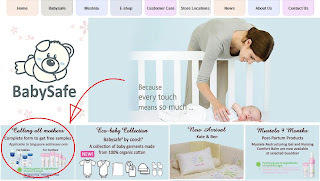 Complete surveys on MyMailMoment to earn reward points which you can use to redeem vouchers for. This is by Singapore Post so should be pretty reliable (in my cheapo opinion). $5 NTUC FairPrice/ $5 POPULAR/ $5 MyStamp/ $5 The Coffee Bean and Tea Leaf Card/ $5 Robinson *Note: as of 1st Dec NTUC voucher was no longer available. Was it bcos of the "Cheat NTUC Voucher Incident"?! Or did we "over-redeem" it? Well, my next fav is the Robinson one. So Mdm Cheapo is a little sad but will manage along. Refer-a-friend and friend completes 3 Quizzes you are rewarded with 100 points. Note: there are 3 types of surveys > Quizzes, Marketing Surveys & Assignments, it needs to be Quizzes. IC number is required to register, to prevent er... Lagi cheapo people to create many many accounts and redeem all of the vouchers. *dammit* Of course I am not like that la. 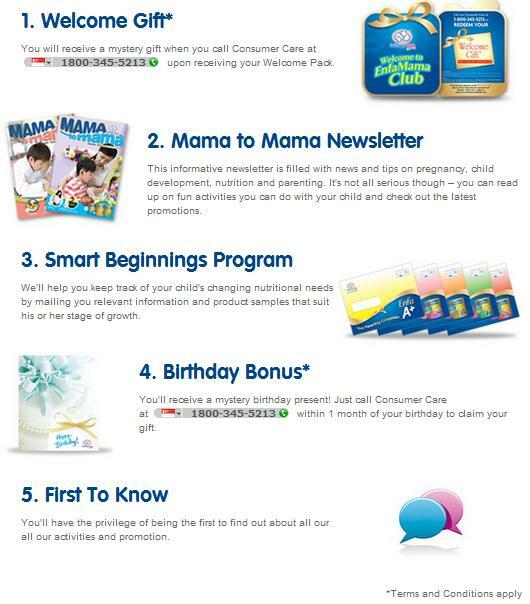 If you have time, this might be good as it gives the more practical vouchers - NTUC good for milk powder & pampers. Madam Cheapo signed up her whole family for it... - got $30 NTUC vouchers in all !!! Love'it!